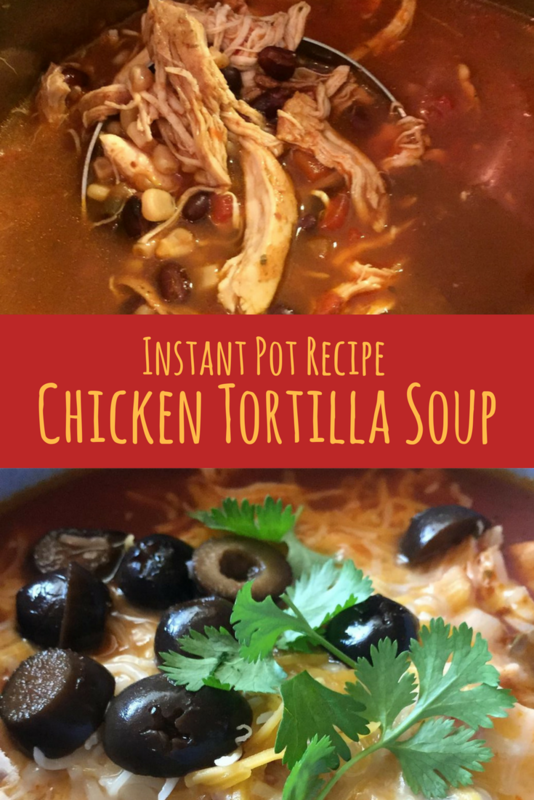 An Easy Chicken Tortilla Soup Recipe for Instant Pot - JP loves LIFE! Chicken tortilla soup is something I find myself ordering time and time again in restaurants. I love it. The flavors and textures come together and I smile from ear to ear. finally I decided to try to make some, but as usual, I didn’t use a recipe. I bought chicken breasts without a plan or knowing how it would turn out. When I shared the photos of this soup, I got so many rave comments and questions that I wrote down what I did and shared with friends and family sharing what I threw together on a whim. It is a bit of a spin on the taco soup my mom makes. Using saute made, brown the chicken breasts with a tiny bit of oil. (Thinking ahead I actually cooked 4 but took one aside for quesadillas or something another night when I was shredding them after they cooked.) Take the chicken breasts out after they were seared well. Turn off saute mode. Put a bit of broth in to get the stuff that stuck free from the bottom of the pot. Add in all the canned goods — Rotel, tomato sauce, black beans, hominy then put some taco seasoning in. Put the chicken breasts ontop (Schnucks had seasoned chicken on sale so it was already seasoned too so I held back on some of the seasoning.) Then poured in more broth til the chicken was covered. Lock the top and use the meat/stew setting, reducing the time to 16 minutes. It was a total guess but when I released the pressure and then pull them out to shed the chicken, they were clearly cooked through. As I served it, I put cheese, cilantro and olives on top. My avocado wasn’t quite ripe so it was used atop the leftovers the next day.